What are GaGa Ball Pits? GaGa (literally ‘touch-touch’ in Hebrew) is a variant of dodge-ball that is played with one ball. GaGa Ball is thought to have originated in Israel. GaGa’s popularity has continued to rise in the US and is extremely popular at camps, schools, and playgrounds everywhere. How do you play Gaga Ball? GaGa is great for all ages, regardless of athletic skill or abilities. It is a gentler version of dodge-ball. All players start the game inside the pit, and the mediator introduces the ball into play. The object of the game is to avoid being struck by the ball. If the ball hits you below the knee at any time, you’re then “out” and must leave the pit. The last player standing is the winner. Players must dodge, run, jump, and get out of the way of being hit, while at the same time trying to hit opponents with a dodge-ball, below the knees. Md Materials offer modular “kits” for indoor or outdoor use. Each kit comes complete with stanchions and borders to create the Pit. Playground Plastic borders are a great way to create your GaGa Ball Pits. Our border timbers have no splinters (unlike wood) or preservative chemicals. They’re easy to install — you don’t need any expertise or special tools to put them in. Our black borders are manufactured from 100% recycled plastic, and we use these borders in our own commercial jobs installing playgrounds throughout Maryland, Virginia and Washington DC. 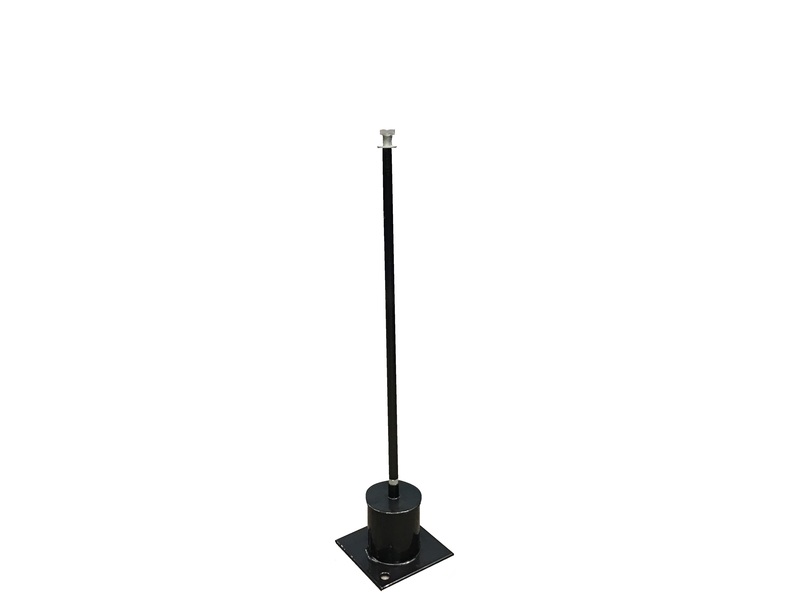 The Stanchion is a connector that allows options for installation on multiple surfaces including concrete, asphalt, grass, and even indoors. 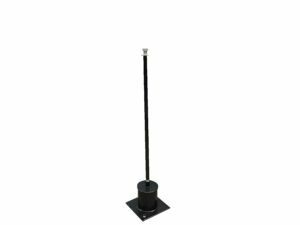 Instead of a more permanent option like staking it into the ground, the Stanchion allows portable and reconfiguration options of the pit on any surface. It is a lot easier! 1. Determine how many border timbers you will need for your Pit. Calculate the linear length and width of your project and divide that the length of the timber. (Example: If you have a length of 20 feet and width of 8 feet, you will need 14 of the 4′ plastic borders. 2. Fill out the request an estimate form or call us for an estimate at 877-840-0707. An estimate will include the price of the Gaga Ball Pits plus the cost for shipping.